My repurchasing of the latest iPhone model for the last seven or eight years feels comparable to my daily green tea consumption. I just do it, without really questioning whether I want it, or indeed even like it. It feels ‘default’. And yet I could probably find more things I dislike about iPhones than like – they are buggy and crashy (sounds like a new Disney Cars movie), not always particularly intuitive, and frankly, for someone who likes big watches, big TVs, big computer screens – big, clear, everything… I find the screen a little small. I think we all know friends who are evangelists of other phones – constantly telling us to step away from Apple and embrace their current make and model, and often, they have pretty convincing arguments. So when I was offered to review the new LG G3 smartphone, I was very intrigued and excited to see what it had to offer. 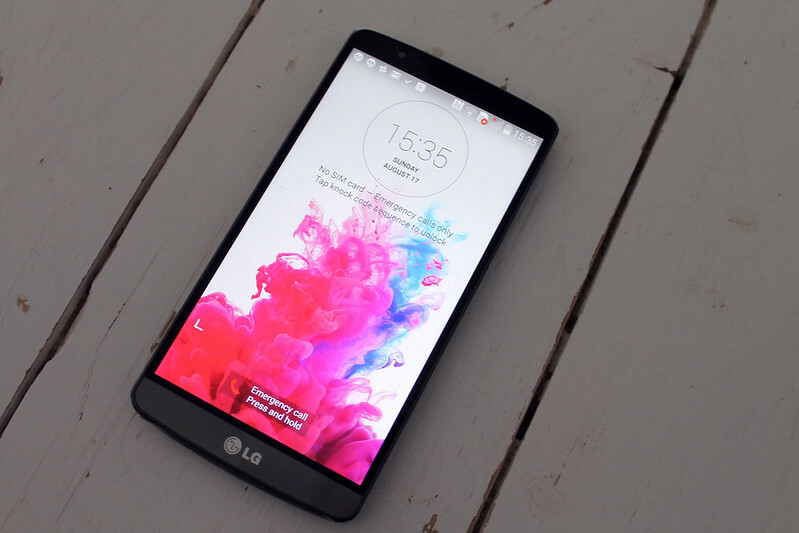 I was very pleasantly surprised when I first unboxed the LG G3. The phone is slim, extremely lightweight and has a ‘brushed metal effect’ that makes it look very smart and sleek. The first thing you immediately notice is that 5.5″ Quad HD Display screen. The techie description is that it’s four times the resolution of HD and almost two times higher resolution than a full HD display. The Rosie description is that it was a total ‘wow’ moment turning it on and seeing just how clear and impressive the screen was. I think at this point my iPhone started to feel a bit vulnerable about its position as my current phone! Even though it’s a larger phone than I’m used to, it still fits comfortably in my hand due to its beveled, arced design. I was already mentally awarding the phone some mega cool points and looking forward to properly taking it for a spin. 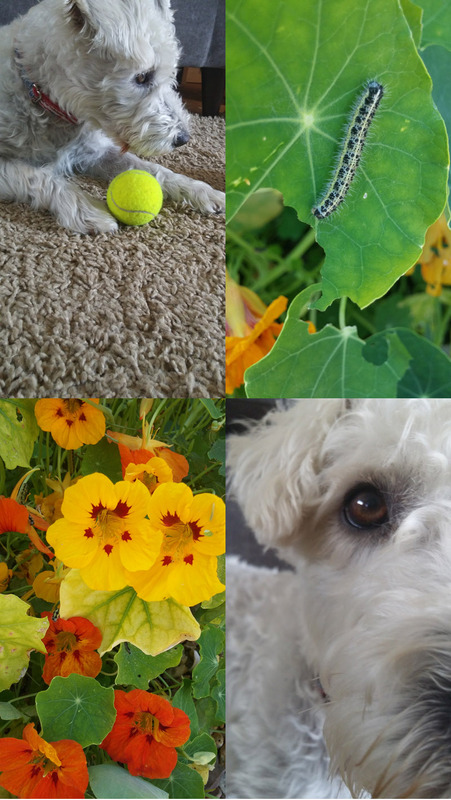 These were all taken with the LG G3 camera. The camera has a very simple interface – you just touch the screen and it focusses on that area and takes the picture. It also has a front-facing 2.1 MP camera that you can use for ‘selfies’ – one clever feature is that by making a fist at the camera it starts the camera self-timer, so you can get all your mates in the photo and then gesture to start it counting down (no fat thumbs in your group shots like there often are in mine!) There’s lots of neat little features like this that show that LG have really put thought into the ergonomics and usage of the phone to make it simple and comfortable to use. I found the colour representation from the camera excellent – here is another snap from the phone’s camera – you can really see the quality and clarity of the images it delivers. 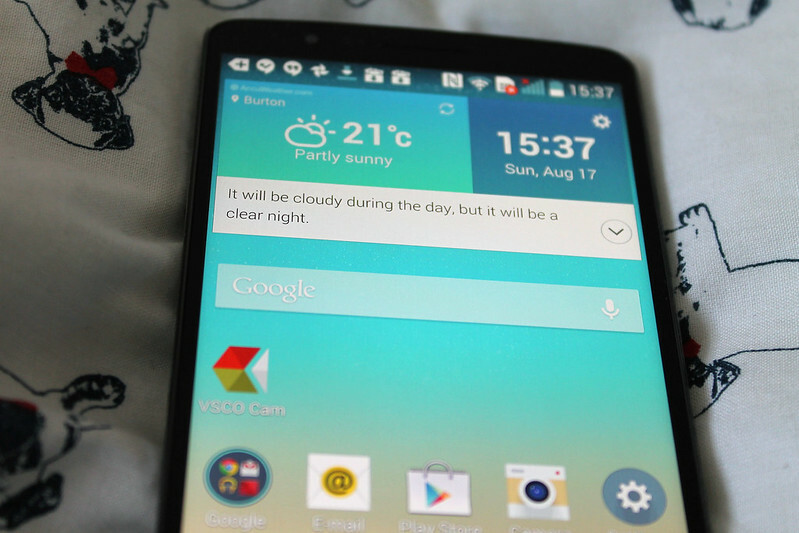 The Smart Notice feature is another fun feature of the LG G3 – it’s a little widget that sits on your home screen, observes your usage and gives you advice that might be helpful to you throughout the day – telling you about weather forecasts, reminding you of missed calls, birthdays and notable dates, or finding files and updates to improve your phone usage. If you’re anything like me and you see a missed call and then completely forget to call the person back later, or are pretty good at forgetting birthdays, you’ll find this feature useful. Definitely a function for bloggers or those who like to write lengthy texts and emails (that’ll be me then! ), the Smart Keyboard function also learns from the way you use the keyboard and makes useful adjustments – you can even tweak the height and colour of the keyboard and it’s easy to use when typing fast. The display really is incredible – it’s perfect for surfing the web and watching YouTube videos and movies. 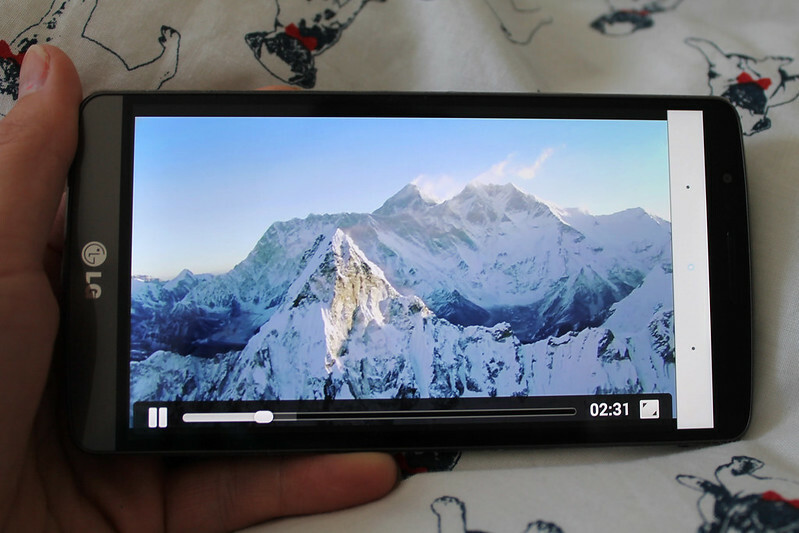 I love that it bridges the gap between a phone and a tablet – I could definitely comfortably sit on a plane or train watching movies on this phone and not feel like I was having to squint or missing out on some of the details. It is visually, just… stunning. You might be thinking – with that mega display, fast focussing camera and all of its impressive features – how long is the battery going to last? One of the things I love about the LG G3 is that the battery is removable, so unlike the iPhone, if there were ever any problems with the battery, or you wanted to get a spare, it’s very easy to interchange. 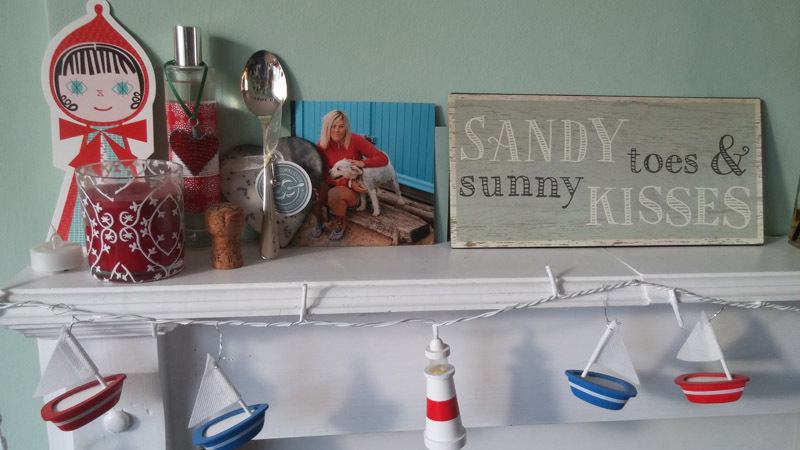 I didn’t have a sim card for the phone so I was just using its non-cellular functions like watching movies, surfing the web and using social media – I found that it comfortably lasted a couple of days if I didn’t go overboard with usage. I’ve read other reviews that have said with heavy usage it will still last a full day. The short battery life is my main frustration with the iPhone (anyone else find themselves having to recharge around 4pm?) so it’s brilliant to see that such a stunning display doesn’t greatly compromise the battery life. Overall, I am completely bowled over by the LG G3. For me, the 13MP camera with quick focussing and excellent white balance performance, plus the stunning quad HD 5.5″ screen make it the perfect phone for an avid YouTube watcher and blog reader like me. I frequently find myself swapping between my iPad Mini and iPhone at home, whereas I think this would satisfy my visual desires (oo-er) without needing to grab my tablet. The interface is easy to use, the Smart Notice feature is fun and helpful and the phone itself is sleek, lightweight and comfortable to hold. What’s not to like? I bought my iPhone 5s a couple of months ago so I’m reluctant to immediately put it to the back of the drawer, but I must admit that I’m extremely tempted. I think I’d need to organise a different sim card (the iPhone takes a Nano Sim and the LG G3 takes a Micro Sim) but apart from that I’m sure it would be very easy to make the switch! Are you an iPhone lover or would you move over to a different smart-phone? Have you used any of the LG smartphones in the past? The LG G3 is available on O2 Refresh tariff for £38 per month, on Three for £35 per month and at Carphone Warehouse on a variety of contracts. Sim free LG G3 handsets retail for around £475-495.